Cardiologists Serving Charleston, Mt. Pleasant, and Moncks Corner, SC | Coastal Cardiology, P.A. Coastal Cardiology, P.A. is a group practice consisting of nine cardiologists who are committed to providing our patients with the most courteous, sympathetic treatment and the highest quality of medical care available. Our primary objective is to provide professional service that meets our patients', physicians', employees', and community needs and expectations as a leader in the field of cardiology. 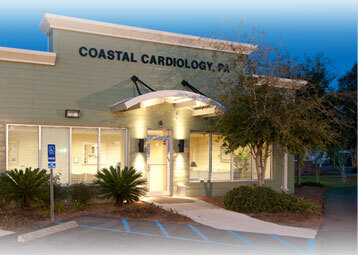 Coastal Cardiology physicians specialize in cardiovascular diseases and disorders. Coastal Cardiology is conscientiously continuing to improve the performance, quality, and efficiency of our functions while assuring patients' confidence and satisfaction. All new patient appointments require primary physician referral.